Find out more about SUDS and All My Son’s here. Arthur Miller was right to question the moral obligations of the individual under capitalist rule. When the law belongs to those who can afford the best defense it behoves the individual and those around him to decide where they stand on moral issues. Miller cites courage as one of the primary ideals of morality, but it could easily (and regularly is today) be claimed that Joe acted courageously when he took the risk and sent those defective shells out to war. He gambled on a chance that could have paid off, and then took the courage to set up a scapegoat should his gamble backfire on him. We see this around us today, all the time in business and in politics. Films like Margin Call discuss this same issue, particularly in light of the recent multiple banking crises. However, where Miller lets us all off the long frightening hook he created, is with suicide. Miller seems to have a kind of karmic attitude, a “what goes around comes around” sort of belief going on, exemplified in the repeat references to astrology in the play by the lucky Frank Lubey whose birthday did make a huge impression on his good fortune. By staging the suicides of Larry and Joe, Miller pacifiers his distressed bourgeoise audience into thinking any subject who makes a truly bad choice will get theirs in the end. The corollary of this implication is that anyone who suicides is righting some sort of karmic wrong, and anyone who doesn’t suicide isn’t burdened with the same universal guilt. In using karma and astrology in this way, Miller may as well have brought the retribution of god down to smite the Keller household, as it problematically negates his point of independent morality. It might have taken years, but Joe couldn’t live with himself at the age of sixty. He got his in the end. The world is a good place after all. Rupert Murdoch might be eighty-four, but we’re all sure he’ll get his too. Just you wait. 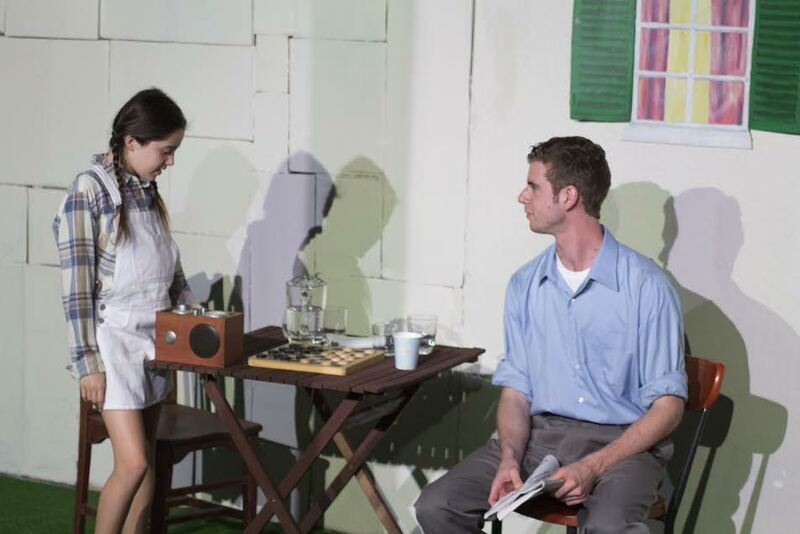 The ugly truth of All My Sons is not the moral dilemma of Joe Keller and the secret-filled folk around him, but the constant use of art and theatre to pacify the rest of us into believing we are facing these issues, while instead we are dulling our own guilt into submission. 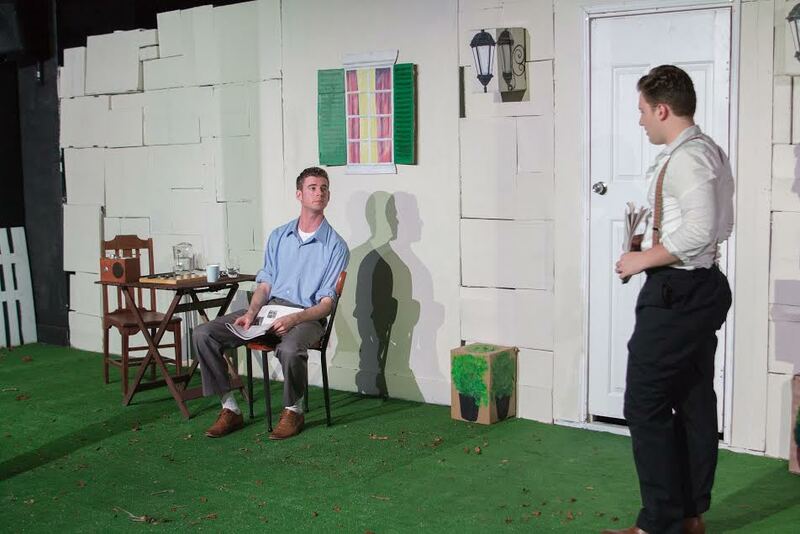 It was the recent staging of All My Sons by SUDS that brought a lot of these issues to light, if not intentionally then through the brilliance of theatrical performance. Many of Millers intentions are missing from this performance, the most obvious being the guilt through generations idea, as all of the characters are beautiful, vibrant young people. Director Adam Waldman and costume designer Browyn Hicks decide not to make up the older Joe (Max Baume) and Kate (Tess Green) but to have them play their roles, speak their lines, as young people. The costumes are contemporary, but tap into period, so that the performers look out of time and place rather than locked down. At first this was tricky, and one needs to get used to the drastic departure from the play as one knows it. However, it draws Miller’s words into today and dramatically alters our perspective of Joe. Max Baume’s Joe is a fun guy, a nice guy, a backyard barbie hosting, football watching everyman who never seems to be the cold industrialist of Millers play. Its even more chilling, because the world closes in on him suddenly and frighteningly at the end, rather than the slow drawn out shadowy haunting Miller proposes. This changes the nature of Joe’s suicide dramatically, from an inevitability due to guilt and fate, to a method of escape, so as not to have to face retribution from the authorities, his wife and his son. Under Adam Waldman direction, Joe’s suicide is a final escape, not a punishment. Larry’s comes across in a similar way. Women are interesting too. 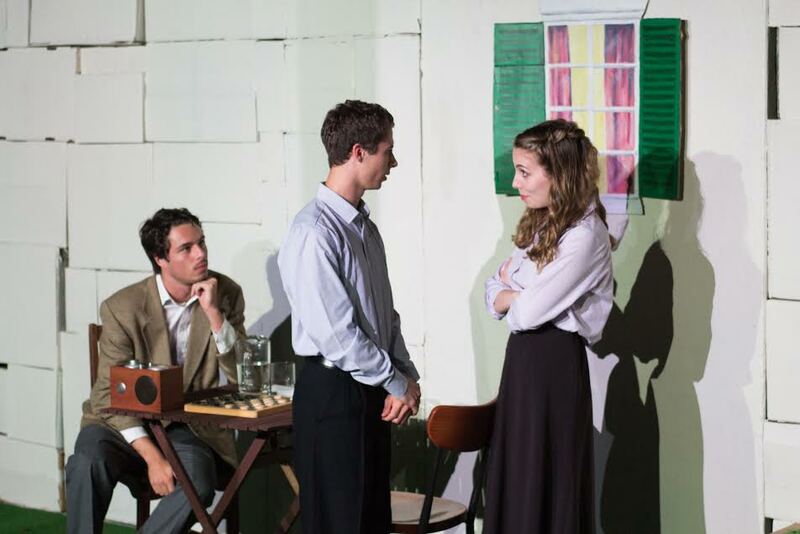 In Millers play, they carry the weight of guilt and conscience, perpetually worrying about the men around them. However, under Waldman’s direction, they do not bare the sage like mystical wisdom Miller lumbers them with, but are respondents to circumstances, grappeling with events as they unfold. Tess Green’s Kate is matriarchal, but emotionally independent from her husband, willing to get on with the day. She said her lines dutifully, like a housewife producing the delicious evening meal out of obligation. Lauren Gale’s Anne Deever is worldly-wise, but stronger than Miller thought she was, almost as if she has made choices about what she is there for. 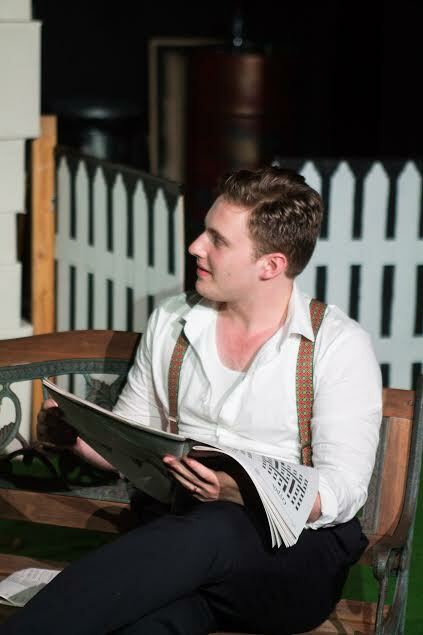 Of all the flawed characters in All My Sons, it is Anne who seems to control events, particularly against Luke Smith’s Chris Keller who is childish and naive. In his directors notes Adam Waldman invites conversation and discussion about the themes of , so my review focuses mostly on thoughts the production brought up in me. I was struck with complicated feelings after seeing this show, particularly about its writer, and the strong feeling I had that he had betrayed his central point with his own play. It has taken me a few days to get a grip on them, and unfortunately this review comes after the three performance nights are over. But I’m very pleased to have gone in the end, and grateful for the re shaping and change in interpretation the play has given me. The production values may not always be perfect at SUDS and the actors a little green, but the interpretation is always bold, fresh and challenging and that I prefer above everything else. They’ve made me think again about what Arthur Miller does to theatre, and that’s a wonderful thing.